Having an operation can be a scary thought at any time of year, but the Post Anaesthetic Care Unit (PACU) at Hull Royal Infirmary has a unique way of putting its patients at ease at Christmastime. ‘Elf’, also known as Support Worker, Julie Smith, dons her special outfit every Christmas to bring a bit of festive cheer to people undergoing surgery and their relatives. Armed with her special E.L.F. ID badge; Everyone’s Little Friend; she provides a friendly face and a calming voice at what can be a very worrying time. PACU provides post-operative care for between 30 and 40 patients every day, from tiny babies right through to older people. Members of the team collect patients from their hospital ward or department just before their procedures, and make sure they know what to expect after surgery. Once they are out of the operating theatre, patients receive expert support from the PACU team for anywhere up to four hours as they recover from the effects of general or local anaesthetic. “I love playing Elf every year. Due to the clinical nature of the PACU environment, it’s not always appropriate for us to have trees or decorations like other wards and departments, so the arrival of Elf really helps everyone here to get into the Christmas spirit. This is the fifth year in which Julie has played Elf. 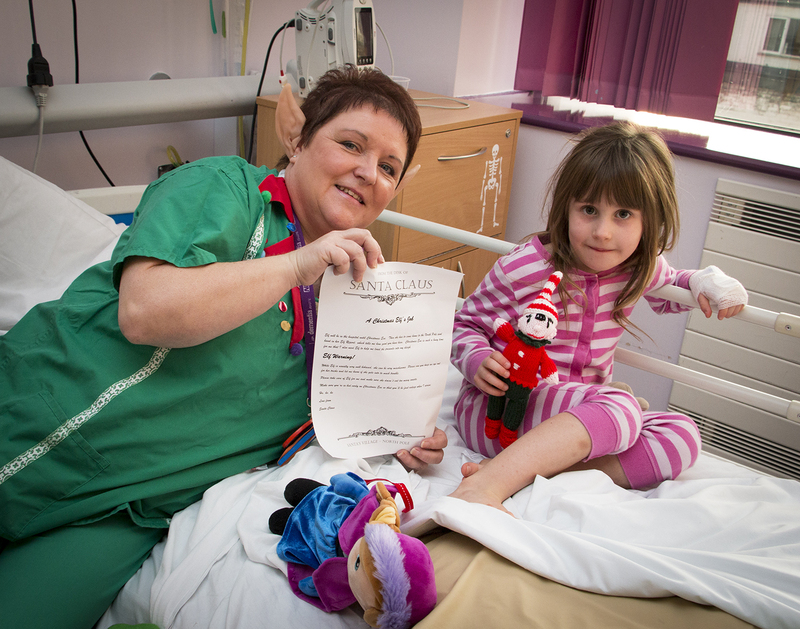 In 2015, she was nominated for one of Hull University Teaching Hospitals NHS Trust’s ‘Moments of Magic’ for her work as Elf and the benefits this brought to the young patients in particular in her care.